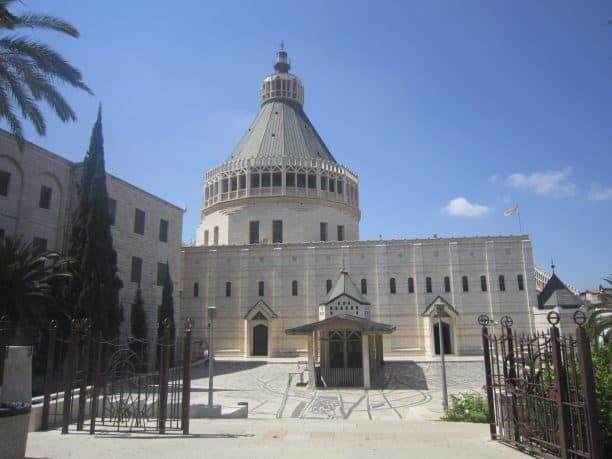 Visit the Holy Land sites of Nazareth and Galilee area on a comprehensive full-day group tour. Visit the Church of the Annunciation, and the grotto where Mary lived. Visit Joseph’s carpentry workshop, now a church, named the Church of St. Joseph. Continue towards the Sea of Galilee through Megiddo, the Valley of Armageddon. Visit the Mount of Beatitudes and the Capernaum. Stop in Tabgha, famous site of the miracle of the multiplication, and finally head to the Jordan River, where will be possible to receive Baptism. 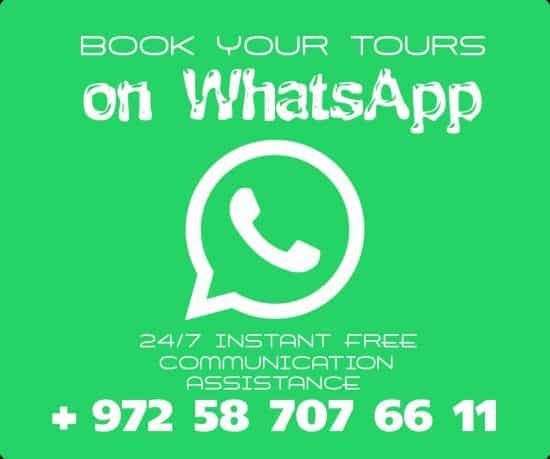 Tour available according to 2019 all ships arrival schedule to Haifa Port. 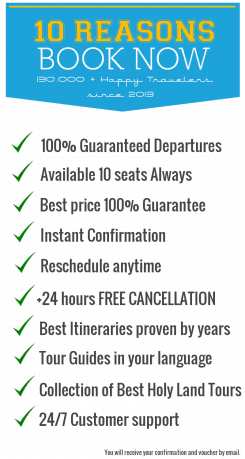 Our guide will meet you at your cruise ship in Haifa Port. Leave the Haifa city and drive into the beautiful green landscape of Northern Israel towards the first stop of the tour, Nazareth. Visit the Church of the Annunciation, where the Angel Gabriel visited the Virgin Mary to tell her she would be the mother of Jesus. 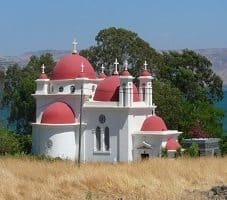 See the Church of St Joseph, built over the carpentry workshop of Mary’s husband, Joseph, and pass through Kfar Canna, where Jesus turned water into wine. Pass by the Church of the Multiplication next to the Sea of Galilee. This is where the miracle of the loaves and fishes took place in the Gospel of John. 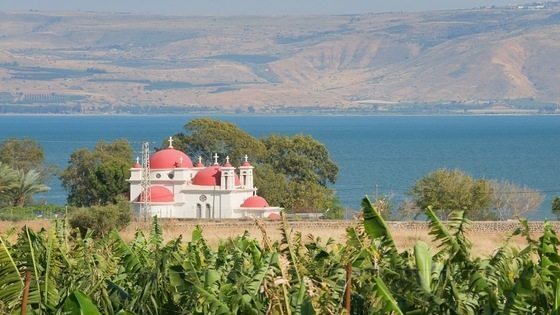 Walk along the shores of the Sea of Galilee and visit the village of Capernaum, where Jesus spent time teaching in the local synagogue. It was also the home town of the apostles Peter, James, Andrew and John. Finally, travel to the southern end of the Sea of Galilee, where the Jordan River meets the Dead Sea in Tiberias. This is where Jesus was baptized by John the Baptist. And make a stop to see the Mount of Beatitudes, a hill in northern Israel where Jesus is believed to have delivered the Sermon on the Mount. The tour concludes here. 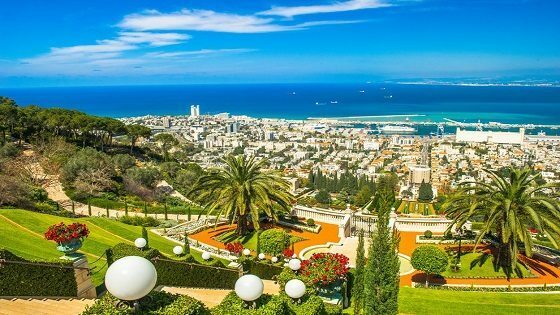 Before ending your day back at Haifa Port, enjoy an overlook of the city of Haifa which sits on the slopes of Mount Carmel, from above the spectacular the Bahai Gardens. Return transfer to Haifa Port. Recommended for this tour: Comfortable walking shoes, swimming suite, hats, towels, sun glasses, sun screen. 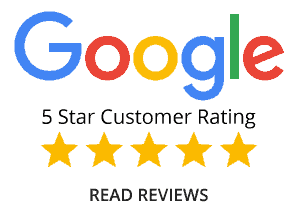 Nazareth Galilee Yardenit Tour from Haifa Port	Overall rating:	4.9	out of 5 based on 143	reviews.